The Rev. Mark Holland celebrates Holy Eucharist at St. Francis on the first Sunday after August 2016 flood. St. Francis received around 3 feet of water in all buildings. The service was held in the church parking lot. Deacon Charles deGravelles was assigned by Bishop Thompson to serve as deacon at St. Andrew’s, Bayou Dularge. He will continue to serve as deacon at Trinity, Baton Rouge. The Vestry of St. Margaret’s, Baton Rouge, has called the Rev. Tommy Dillon to serve as priest-in-charge, effective September 1. He is returning to his hometown and home diocese after serving 11 years on the West Coast. 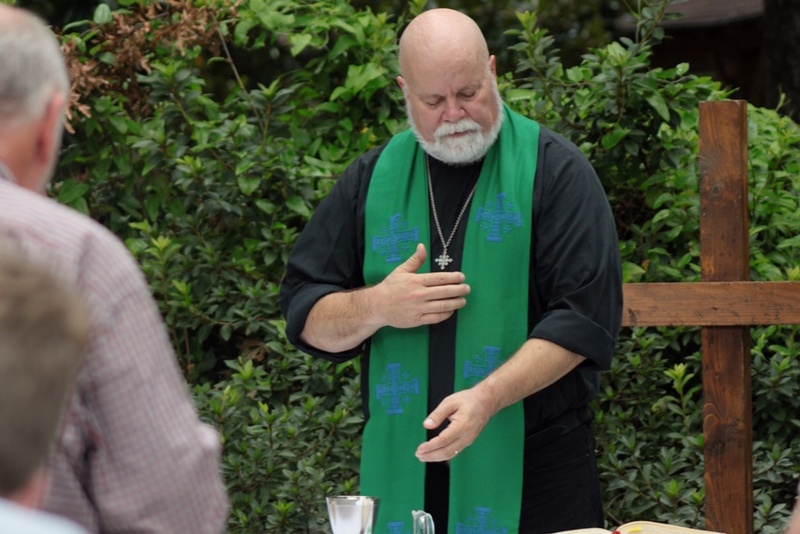 He has served as the vicar of St. Augustine’s, Baton Rouge. His first Sunday at St. Margaret’s will be September 11. The Rev. J. Mark Holland has been called to serve as the interim priest-in-charge of St. Francis, Denham Springs. The Rev. Harold “Hal” Roark was called as rector of The Church of the Good Shepherd in Granite Springs, NY. Since his ordination in 2013, he has served in Connecticut and New York. Letters Dimissory were sent transferring him to the Ecclesiastical Authority of the Diocese of New York. Deacon Debbie Scalia has retired from St. Martin’s School, Metairie. She will continue to serve as a deacon at All Saints’, River Ridge. The Rev. Jane-Allison Wiggin-Nettles has been called to serve as the chaplain for Christ Episcopal School in Covington.